Highly anticipated, this recipe for a simple, easy meal is finally up after a very long time. Thank you for waiting (Henz). 1. Select three wide bowls or dinner plates. 2. Place eggs in a bowl and mix well with soy sauce, mixed herbs and salt and pepper. 3. Line plates with greaseproof or wax paper then fill one plate with flour, one with breadcrumbs and one with egg mix. 4. 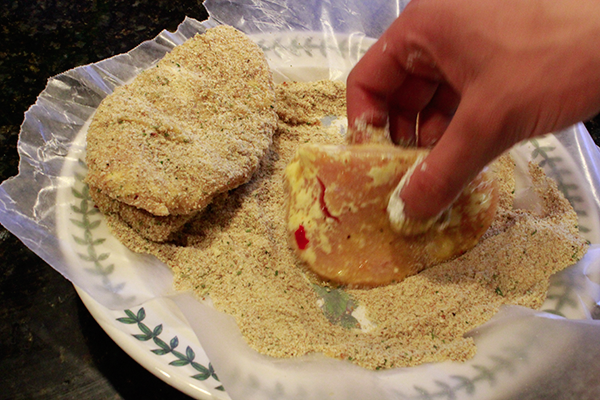 Remove turkey cutlets and coat in flour then coat in egg mixture then dip in breadcrumbs and set aside. 5. 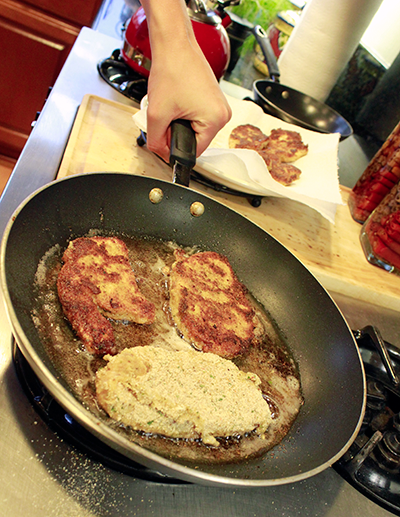 Once all turkey cutlets have been dipped and coated take out skillet or frying pan. 6. Pour in oil and heat until it begins bubbling or popping. 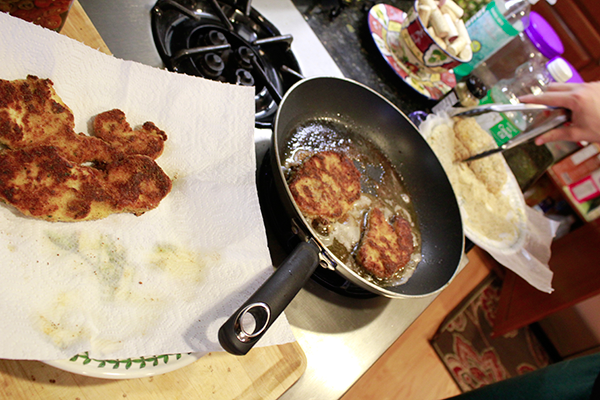 Then place 2 or 3 cutlets in and cook until golden brown on both sides. 7. Once cooked, remove and and place on kitchen paper to drain excess oil. 8. Serve with carrots and mashed potatoes or in a sandwich with lettuce and tomatoes.